“Low Cost” airlines are becoming more and more popular in the recent years and their business model has been proven to be successful. What is “Low Cost” Airline? As the term states – you get to fly for significantly low price. A common thing for “Low Cost” airlines is the price structure which usually includes nothing but the price of the seat. That means, you may have to spend more for food and beverages, seat assignment, checked and carry-on baggage, fees for paying by credit card and even printing your boarding pass at the airport. While some “Low Cost” airlines offer very low price, that’s not always the case and before booking a flight, It’s recommended to compare the price with traditional airlines and take into account the extra cost of flying low cost. For example: A flight with Low cost airline priced at $100 and you have to pay $25 for checked bag and $15 for carry-on bag while flight with a traditional airline cost $115 and you only have to pay $25 for your checked bag. In that case the total price is the same and you may want to look into other things before you decide which flight to book, such as the schedule of the flight, the proximity of the airport to where you stay, the change / cancellation policy and the service. Some of the “Low Cost” airlines can be booked only directly with the airline – online or by phone (Booking by phone may add fees). That means you won’t find fares by this airlines on websites like Expedia, Kayak or Skyscanner. Keep in mind that thanks to the US Federal Aviation Administration all airlines will fully refund payment for ticket cancelled within 24 hours of booking it, if the flight is scheduled 7 days or more from the time of the cancellation and origin/destination is in the US. Dallas, TX based airline is the largest domestic airline in the US. Thanks to the merge with AirTran, Southwest also offers routes to some international destinations in the Caribbean and Mexico. 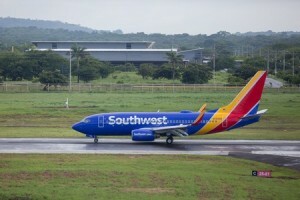 The fares price are not as low as other low cost airlines but Southwest usually still offers slightly lower prices than traditional airlines and tickets are even cheaper on sale few times during the year. -Carry-on bag and one personal item are free of charge. -2 Checked bags up to 50lb/23kg for no extra cost. -No seat assignment but you can purchase early-bird option which grants you priority at boarding so you have more seating choices. -You can cancel / change your ticket for free unlimited times for a credit to book new flight up to one year from the day you booked your flight. If the price of the new flight is higher, you will have to pay the difference, and if it’s cheaper, you will have credit left for additional flight. 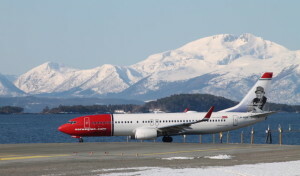 The rapidly growing Oslo based airline offers both short haul and long haul flights to destinations in Europe, North America and Asia. Norwegian’s branding is beautiful and you get to fly on new aircrafts such as the Boeing 787 Dreamliner. -Checked bag cost extra while carry-on bag and one personal item are free of charge. Please read up to date detailed information and check size and weight limit on Norwegian’s website. -You can cancel your ticket within 4 hours of booking or 24 hours if your flight depart from/to the United States and scheduled more than 7 days in advance. -Choosing your seat cost extra. -Food and beverages cost extra. Florida based airline, offers flights within the US and some destinations in the Caribbean, Central and South America. -Checked and Carry-on bags cost extra. Please read up to date detailed information and check size and weight limit on Spirit’s website. -You can board with one small personal item that can fit under the seat free of charge. -Printing your boarding pass at the airport cost extra. 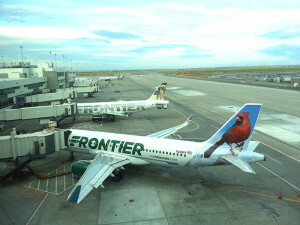 Denver, CO based airline, offers flights within the US and some international destinations in Mexico and the Caribbean. -Checked and carry-on bags cost extra. The price is more expensive if don’t pay at time of you book your flight online. Please read up to date detailed information and check size and weight limit on frontiers’s website. 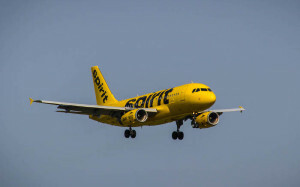 The Nevada based airline offers flights within the US. -Checked and Carry-on bags cost extra. 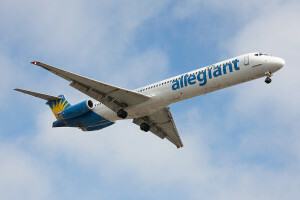 Please read up to date detailed information and check size and weight limit on Allegiant’s website. Cologne, Germany based airline owned by Lufthansa offers short haul flights within Europe and long haul flights between Europe and destinations in the US, the Caribbean and Asia. -Checked bag cost extra. 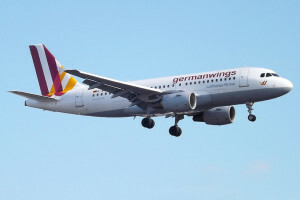 Please read up to date detailed information and check size and weight limit on Germanwing’s website. Budapest, Hungary based airline offers flights within Europe and the Middle East. -Checked and carry-on bags cost extra. The price is more expensive if you don’t pay at time of you book your flight online. 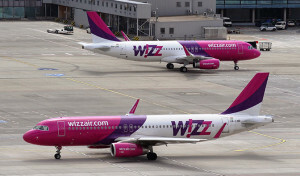 Please read up to date detailed information and check size and weight limit on Wizzair’s website. -You can board with one small personal item that can fit under the seat free of charge (If you upgrade to large cabin bag, you will need to purchase priority boarding to be able to board with small personal item). London, England based airline offers flights within Europe, Morocco, Egypt and Israel. -You can board with one carry on bag free of charge. Checked bag cost extra. 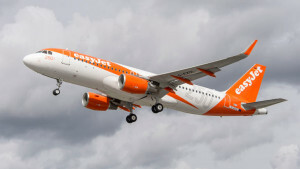 Please read up to date detailed information and check weight limit on Easyjet’s website. Dublin, Ireland based airline offers flights within Europe, Morocco and Israel. Ryanair offers some extremely cheap fares that it’s unclear how it’s profitable. -Checked bag cost extra. The price is more expensive if you don’t pay at the time of booking your flight online. You can board with carry-on bag and one small personal item that can fit under the seat free of charge. 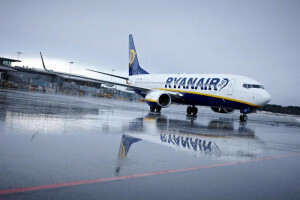 Please read up to date detailed information and check size/weight limit on Ryanair’s website. -Check-in at the airport cost extra.